Nowadays, people aren’t just searching for a house to live in when they’re in the market for a new place to stay. They’re looking for a genuine home—a place they can take pride in and happily call their own. 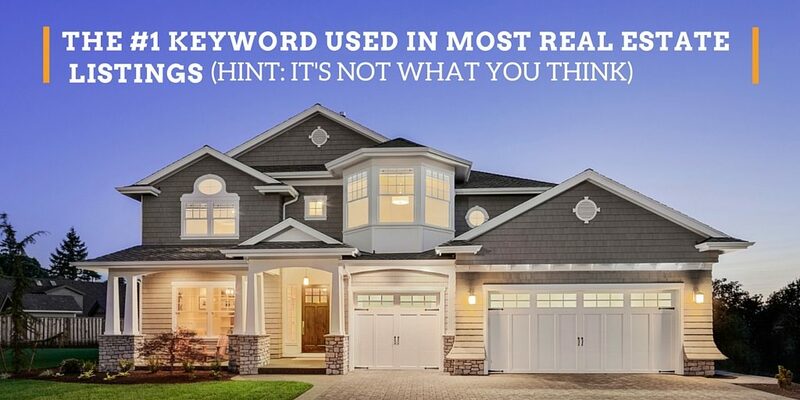 In a recent study by realtor.com, there’s one clear winner when it comes to what people look for in a new home—and it’s not what you think! 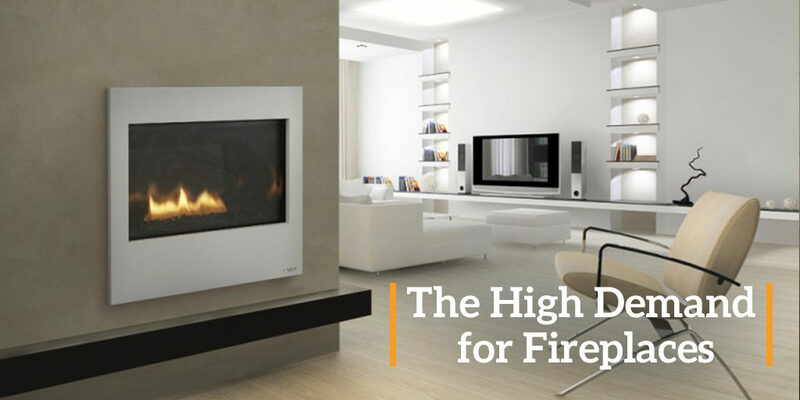 On the list of ‘MustHave’ Home Features of 2015, fireplace sits alone at the top. In fact, the word ‘fireplace’ was mentioned in 23.8% of all the listings on realtor.com. While fireplaces might seem like an insignificant amenity to some, they have an unrivalled purpose in many living rooms & dens. Heating is the first thing that comes to mind. While you could heat your house using central air, baseboards or electric heating, a fireplace offers more. Seeing the flames flicker and hearing the wood crackle while you enjoy a relaxing evening in front of your home fireplace can offer you instant stressrelief like nothing else can. A fireplace creates the perfect setting to drown out the blistering winter winds and to indulge in a romantic evening. Plus, there is something about smelling wood burning that connects you to nature (fireplace owners can relate!). And then there’s the financial advantage of owning a fireplace. Heating bills are highest from early December to early February, and those with a fireplace can cut heating costs significantly by using their fireplace as the main source of heating. At night, during movie time, you can even turn all the lights out and still have a sufficient amount coming from the fire to continue moving about. Fireplace owners are definitely at an advantage during the cold winter months. Then, there’s the value a fireplace can add to your home. There’s no denying that a new fireplace adds an incomparable charm to the look and feel of any home—that much is certain. But that’s not all it does. 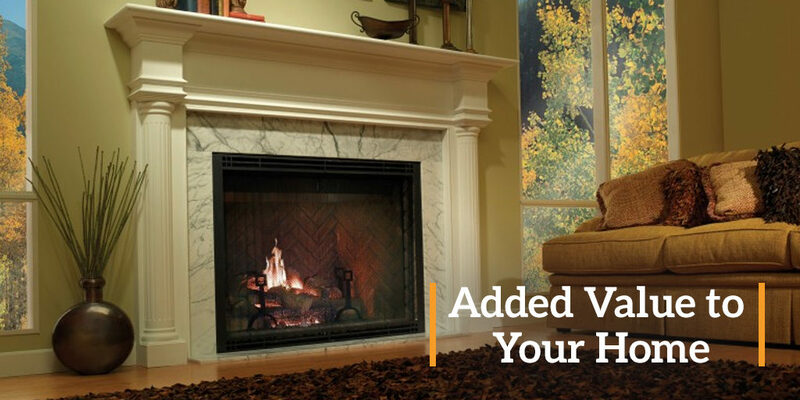 Installing a new fireplace or upgrading an existing one can directly impact the resale value of your home. If you plan on selling your home in the near future, you’ll be able to list it at a higher asking price—your real estate broker will have ammunition to pursue a healthier sum. Just be sure to choose a fireplace that fits the style of your home. Think color, size, shape, style of mantle and which room would be the best fit for your new unit. The last thing you want is a fireplace that doesn’t fit the decor of your home! When comes the time to move, you can rest assured knowing you made a wise investment. You might love the idea of a fireplace but just can’t seem to get past some of the more known objections put forth by typical homeowners. Not wanting to chop wood, reluctance to maintain the unit, and the awkwardness of it not being functional in the warmer weather months are all things homeowners think about before investing in a fireplace. 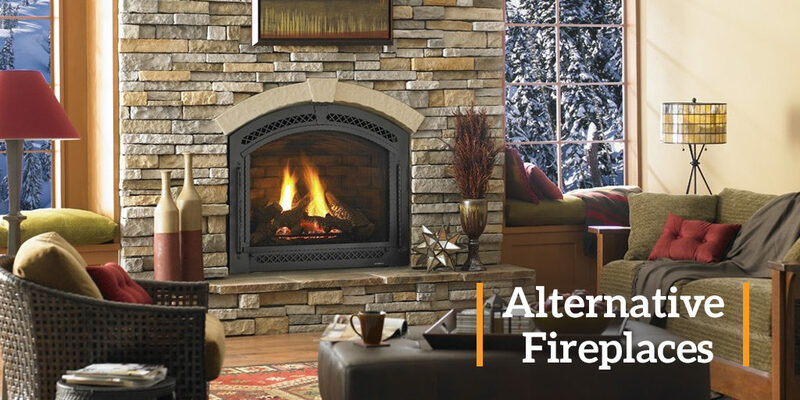 Fortunately, there are alternatives to your typical woodburning fireplaces— gasburning fireplaces! They are safe, meeting EPA standards, and convenient, giving the user full control over the temperature and flames. Some even have real flames and look much like the real thing! Even if you’ve already lived in your current home for decades, you’ll benefit greatly from adding a fireplace. Although it might be an expensive investment, it’ll pay for itself in no time thanks to the added home value it brings—if and when you sell your home, of course. But in the meantime, enjoy a low energy and heating bill, a natural warmth, and the relaxing sounds and light from your fireplace.